Dive into an ocean of fun in the heart of Times Square! 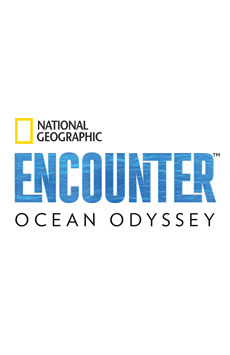 National Geographic Encounter: Ocean Odyssey is an immersive, walk-through experience that takes you on an unforgettable underwater journey across the Pacific Ocean. Instead of taking animals out of their homes, Encounter’s groundbreaking technology transports you to theirs, bringing you up close to the sea’s most incredible creatures. Your adventure begins as a guided tour, where you’ll visit a luminous coral reef at night, witness a battle between two ferocious squid, play with mischievous sea lions, escape a magnificent 3-D feeding frenzy, and much more. You’ll then go at your own pace in Exploration Hall, where you’ll hear from National Geographic explorers, play ocean gaming challenges, and take a pledge to become an Ocean Hero and support our seas in everyday life.